We are delighted to announce that Linos Muvhu from Zimbabwe is joining us as a member of the Board of Advisors. 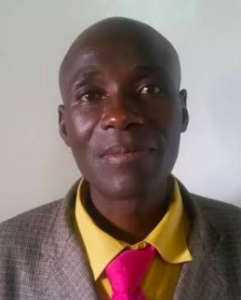 He is a very passionate and committed Maternal Mental Health advocate in Zimbabwe and beyond. “I was born in Ndanga area in Masvingo Province, Zaka District in Zimbabwe. effectively to reach my destiny. In the process of soaking myself in my people’s way of life, I trained with Connect (Zimbabwe Institute of Systemic Family Therapy) as a Systemic Counsellor. In 2008, I enrolled for an Advanced Diploma In family Therapy with Connect for two (2) years. Because of my passion, highly committed and dedication to helping people to solve mental health problems that troubling them, at the age of 25 (twenty-five) I decided to register SPANS to implement programmes aimed at supporting the National Health Strategy through the provision of education, ongoing supportive family therapy/Counselling, and psychological support Services to the reproductive age group and the entire community. In 2016, with the support from the Ministry of Health and Child care in Zimbabwe and other team members, I initiated the International Conference on Maternal Mental Health in Africa (ICAMMHA). In 2016 I led a team that initiated the International Conference on Maternal Mental Health in Africa (ICAMMHA) and contributed immensely to its success. Currently, I am the Chairman of ICAMMHA and the Chief Team Leader for Society for Pre and Post Natal services the host of the ICAMMHA. We look forward to working with him in raising awareness of wellbeing during pregnancy.